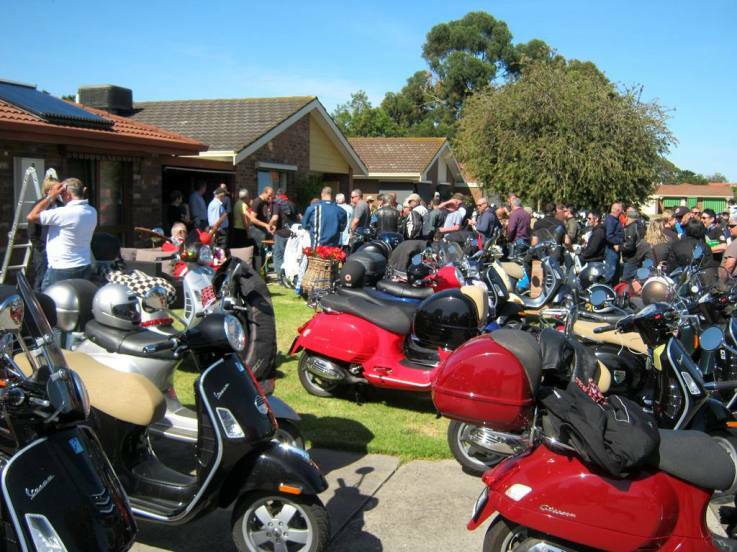 The Vespa Club of Melbourne (VCoM) Australia was originally formed in May 1957 and was revived in 2007 by Frank Tonon of Vespa House and a group of friends. 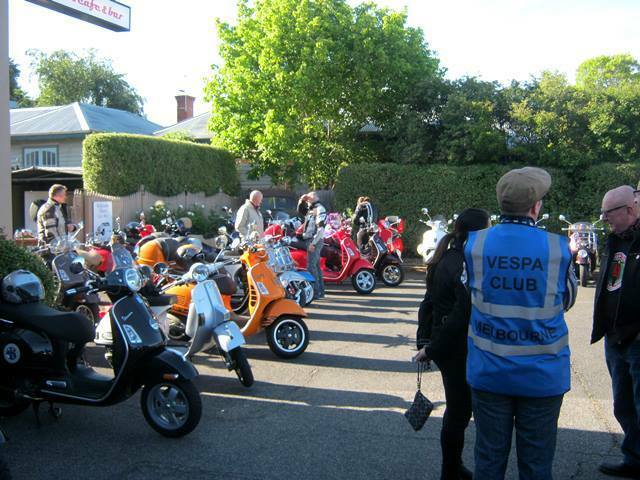 In 2011, the Club was reinvigorated yet again by a new Melbourne group of Vespisti catering for all riders of modern or classic, geared or automatic Vespas. 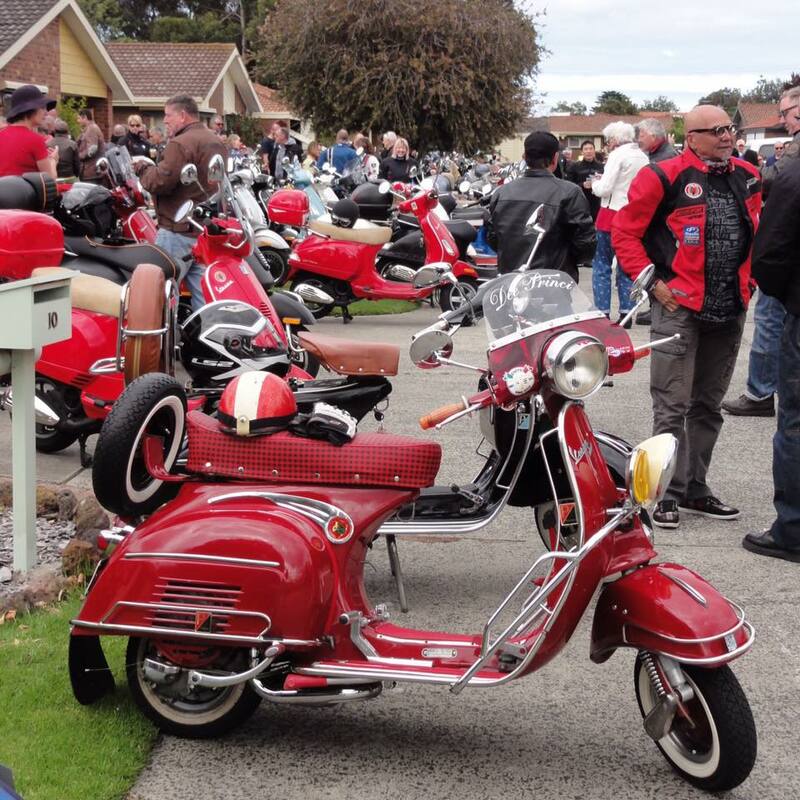 The club has grown to have regular meetings in three different locations in Victoria, including Classic scooter get togethers, an annual ball, outdoor movie night and other events that raise funds for their chosen benefactors; the Khmer Association for Development (KAD). 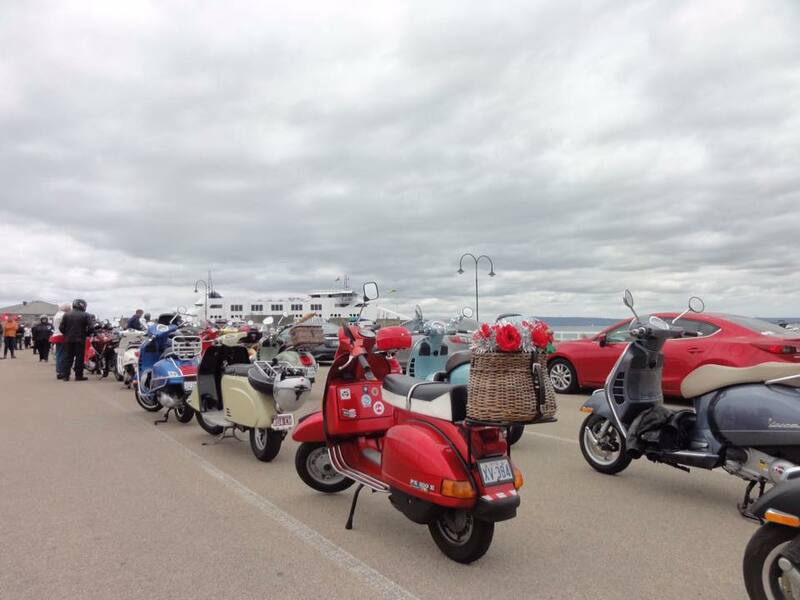 Five years ago, the Vespa Club of Melbourne were looking for a charity to support and it settled upon a community project in a remote area of Cambodia. The Centre for The Protection of Vulnerable Children is located in a rural area of Kompong Speu province about an hour and half from the capital, Phnom Penh. The Club’s President, Julie Pond, said that the project met all the conditions the Club had laid down in the search, and after being introduced to it by a local charity, made a commitment to provide some much-needed support. The program teaches basic mechanical and maintenance skills to local youth and keeps motorcycles running and on the road for families. 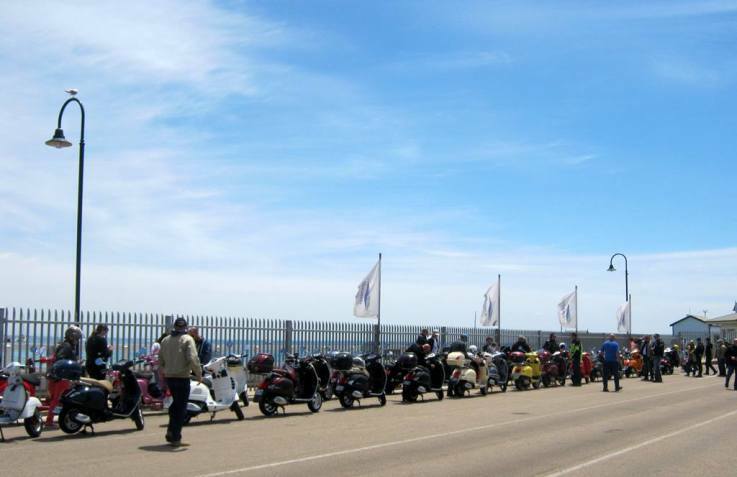 The Club’s main fund raising effort is their annual Round the Bay Ride. This is the story of it’s history, what the money goes to, and what happened this year. 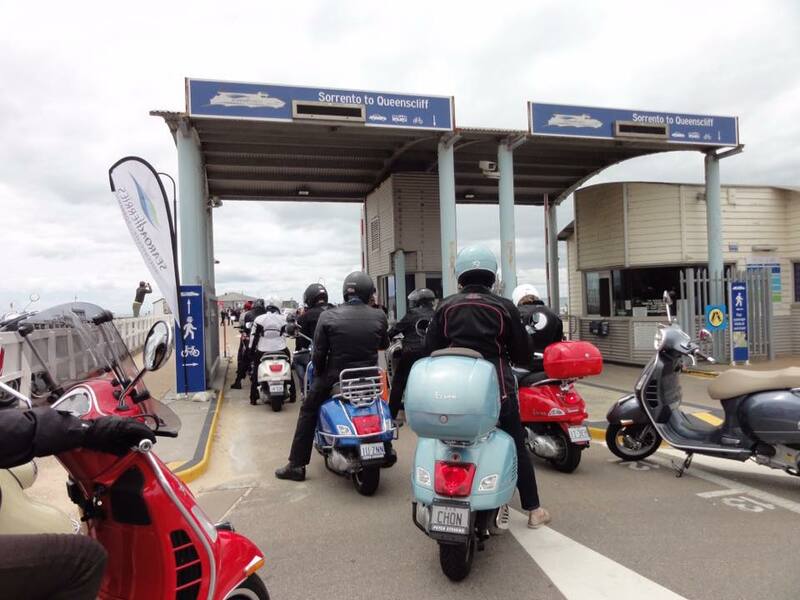 In 2015, 90 riders participated in a 200 kilometre circuit around Port Phillip Bay, crossing by ferry from Sorrento and Geelong. 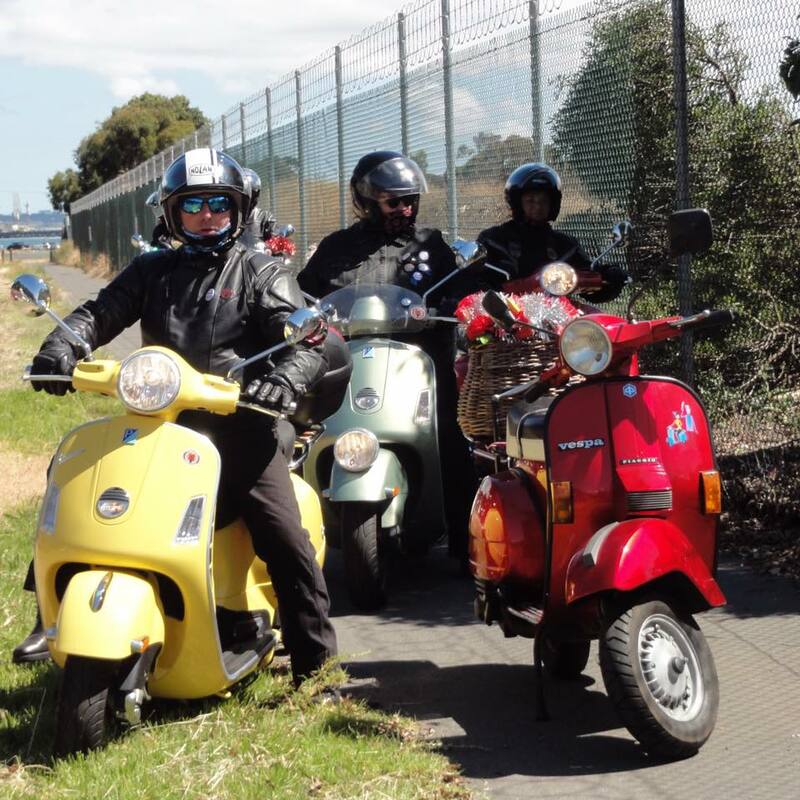 Through activities like this, the club has grown to 450 members and the event is a great way to connect the club members, as the ride passes through the membership areas of Port Phillip bay and Geelong. 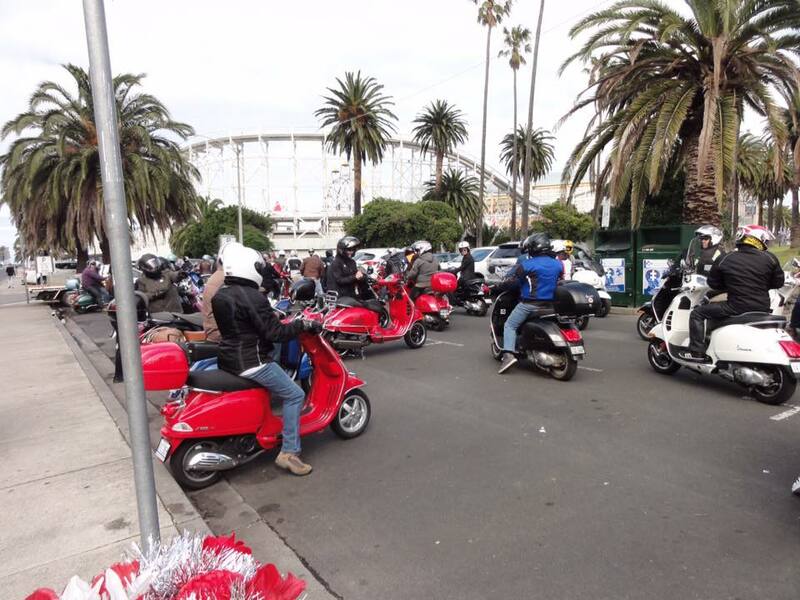 2015 was the fourth year for the Annual Around the Bay in a Day ride, with several departure points so that members could join and leave the ride at different locations or ride the complete lap. 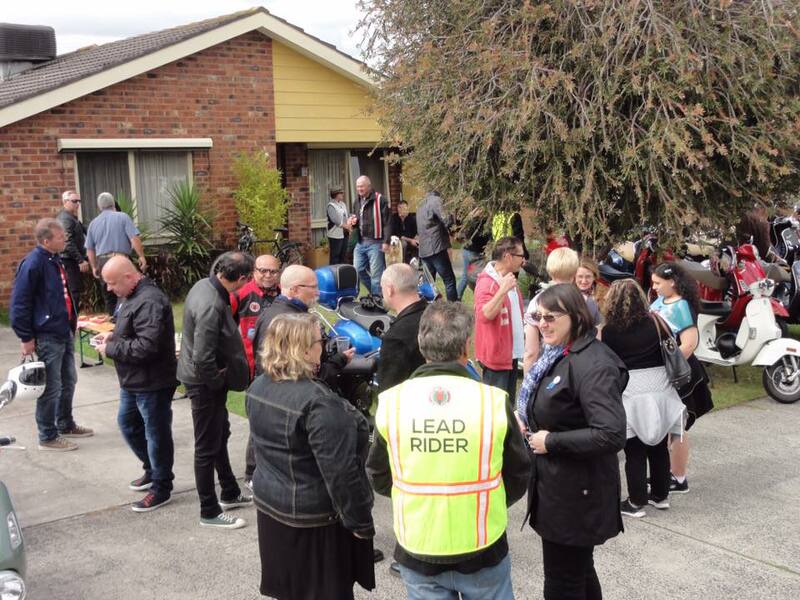 The 2015 ride was a great success with 85 riders and three pillions attended over the day. 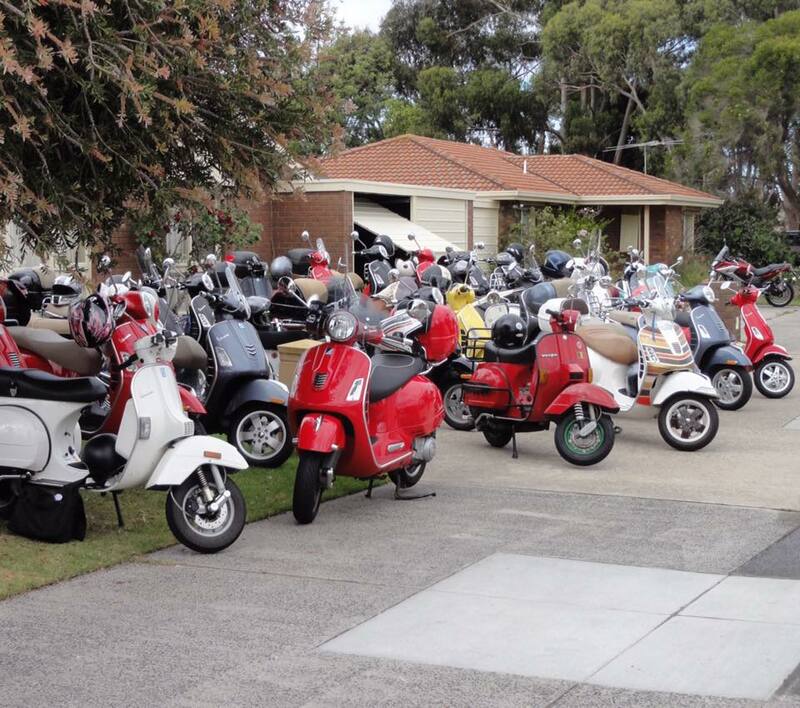 The peak amount of riders at one time was 74 scooters at the stop at Stefan & Ira’s house in Chelsea who donated morning tea. 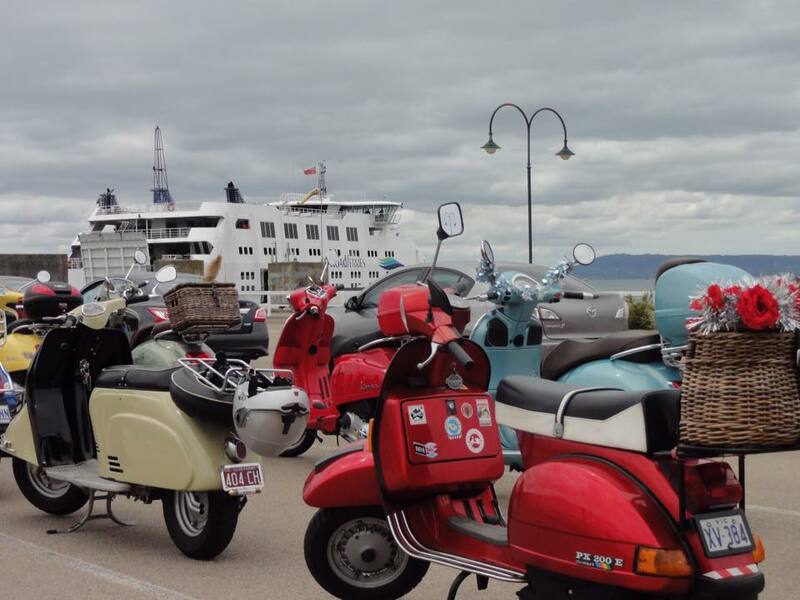 Fifty-seven scooters crossed Port Phillip Bay on the Ferry from Sorrento to Queenscliff. 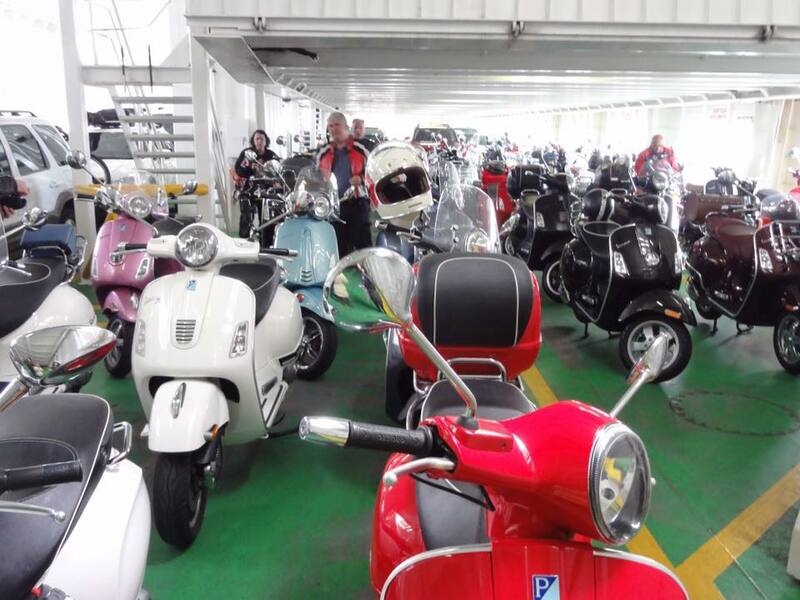 VCoM subsidized the ferry crossing $10AUD each for participants. 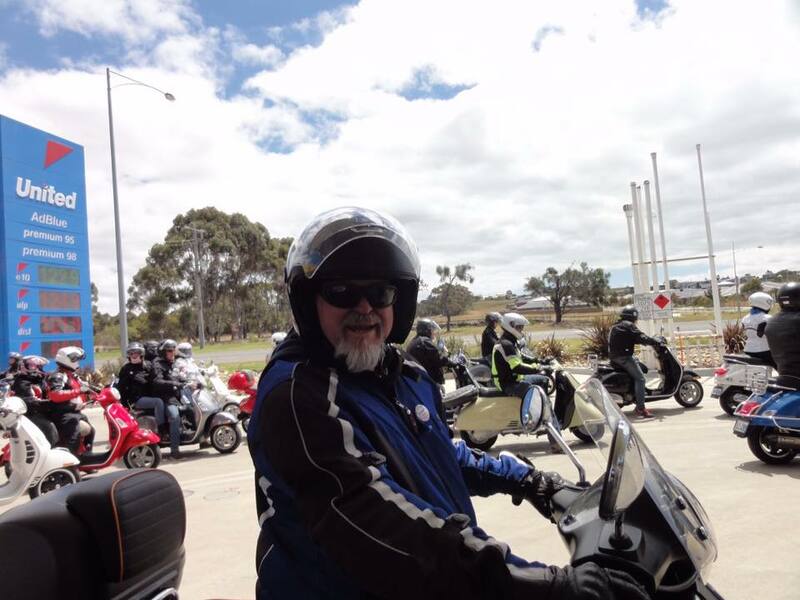 The 2015 event Raised $1500AUD for the KAD Project in Cambodia. 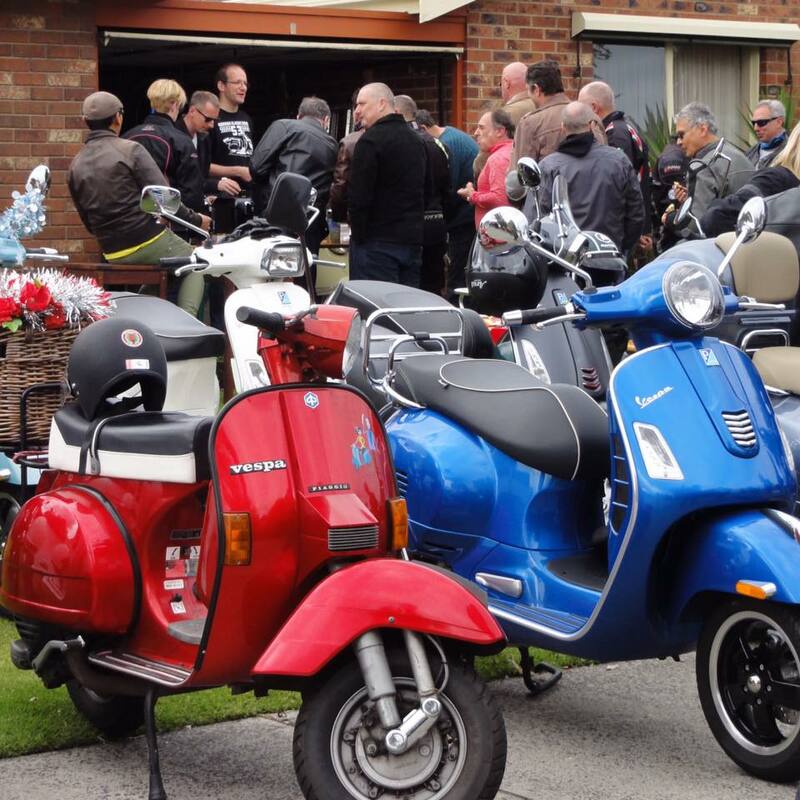 This included a generous $600AUD donation from the Agar family in memory of their son Phil, a member who loved riding with the club. 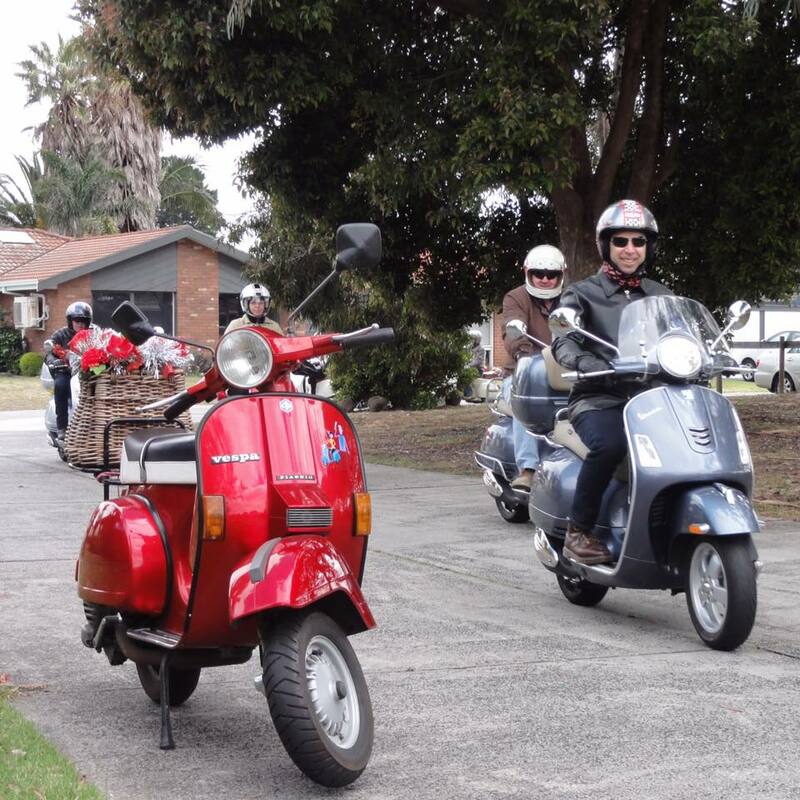 Phil Agar loved riding his blue Vespa and was an enthusiastic member of the Vespa Club of Melbourne. He passed away in May 2015, after a very long and brave battle with cancer. 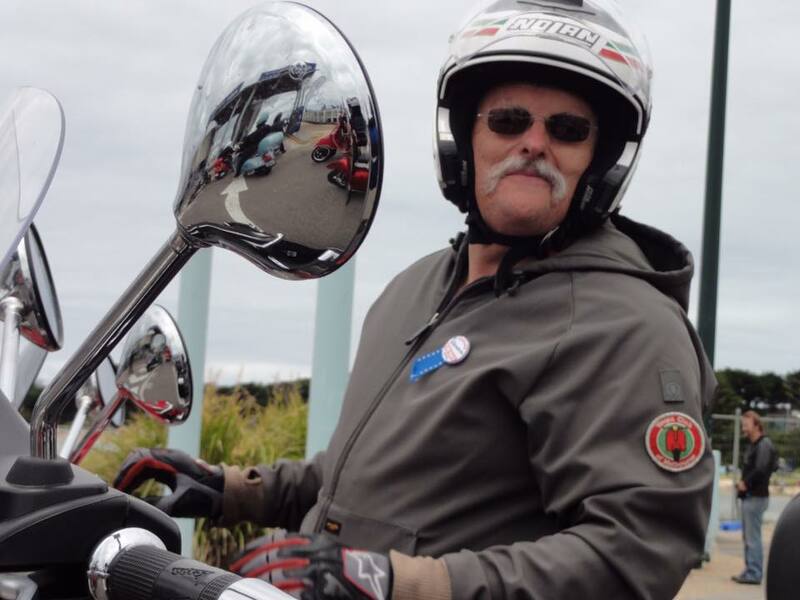 Phil rode the whole ride in Dec 2014 – it was on his final bucket to-do list. He was very tired at the end of the ride but incredibly elated. Another great supporter of the Club is the AlleyCat Cafe in Canterbury who run an annual summer outdoor “movie night” event in support of the charity. The movie selected for 2015 was the 1954 original “Sabrina” starring Audrey Hepburn, Humphrey Bogart and William Holden. It was a well-attended fun night out under the stars, with a French theme complete with crepes, charcuterie platters and ice cream. 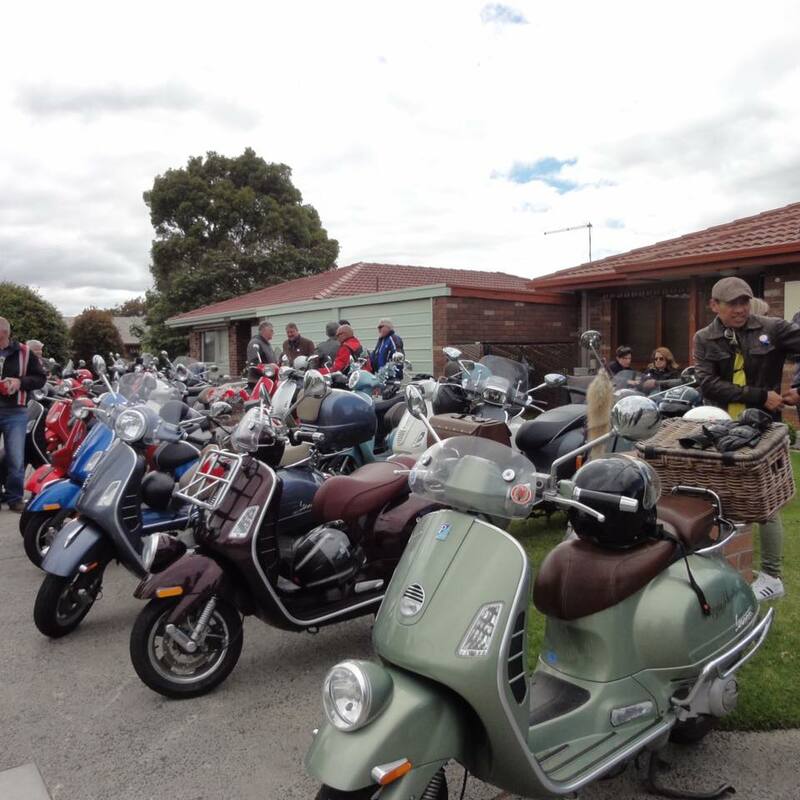 In 2015, the Club raised $11,600AUD to purchase seven secondhand motorcycles for the Centre. 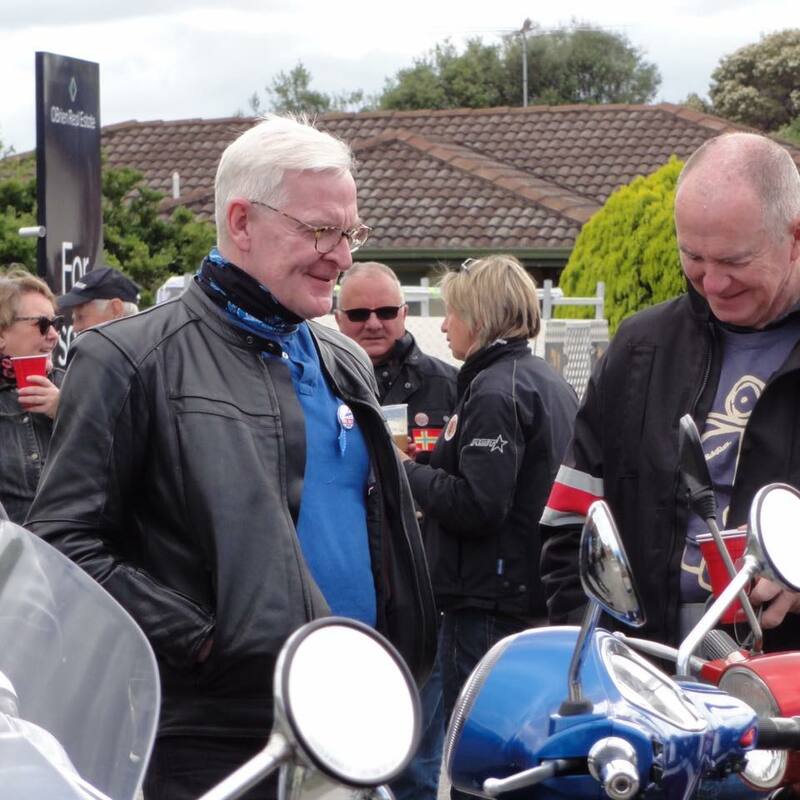 This was done through the club hosted events and a crowd funding page as the target amount was higher than normally raised by the above events. 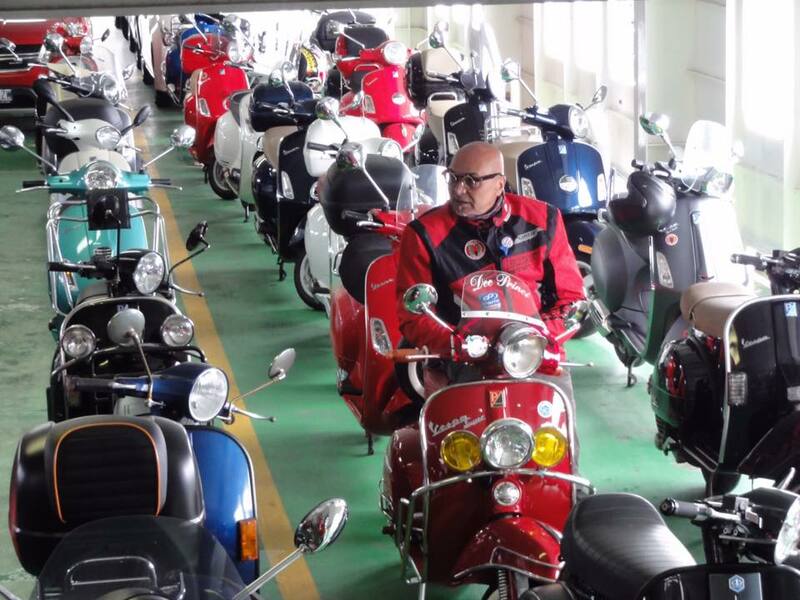 Eight members of the Club also visited to ride around Cambodia, and deliver the motorbikes. The ride was scheduled for the end of the three-day Cambodia New Year holiday peak. 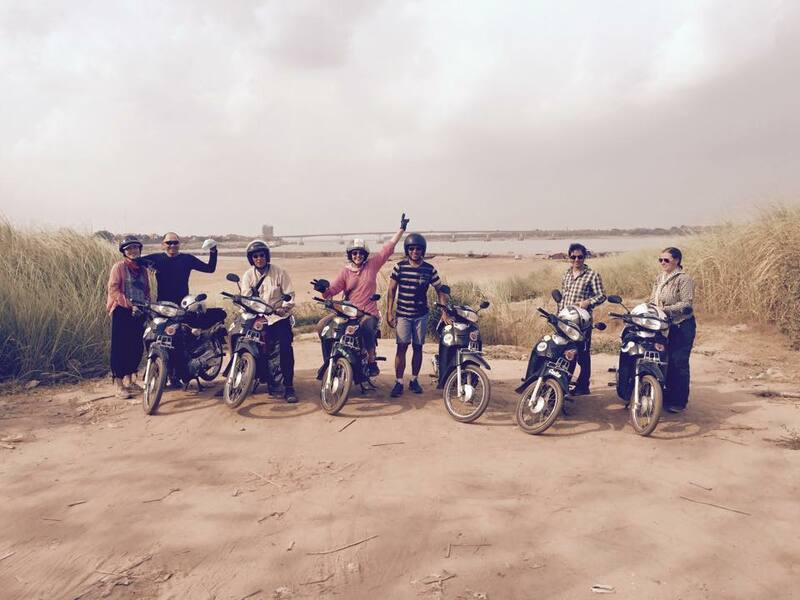 The group arrived in Phnom Penh early in the morning and travelled directly to the project at Kompong Speu to spend the day there and pick up the bikes. 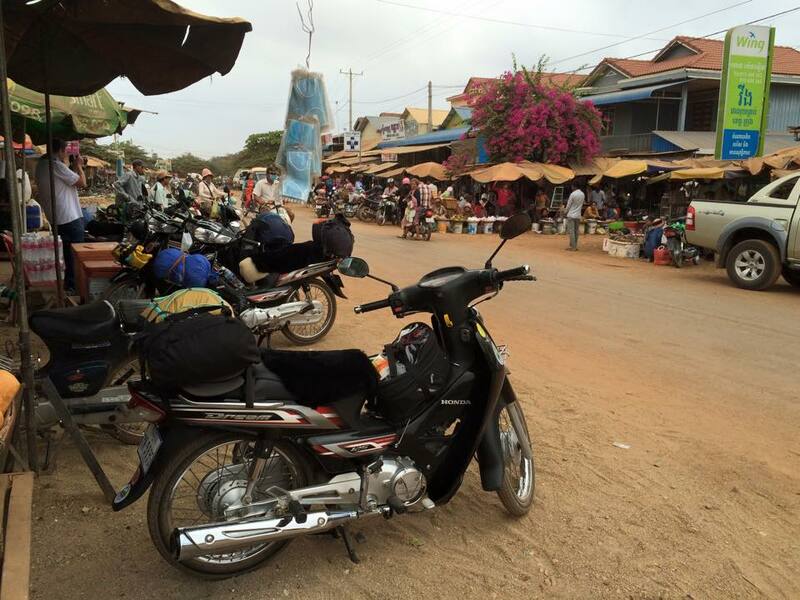 The Khmer Association for Development purchased the bikes which were then thoroughly checked, serviced, and roadworthy certified beforehand being handed over for transport. 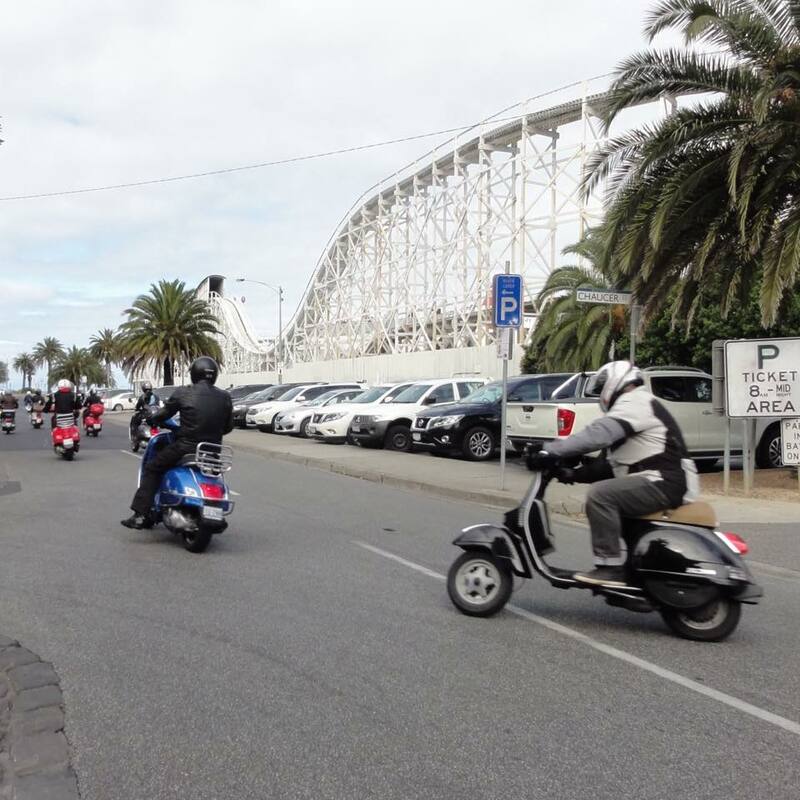 The bikes are Honda Dream 125’s, a semi-automatic 4-speed, 4-stroke motorbike, essentially an updated Cub/SYM Symba. 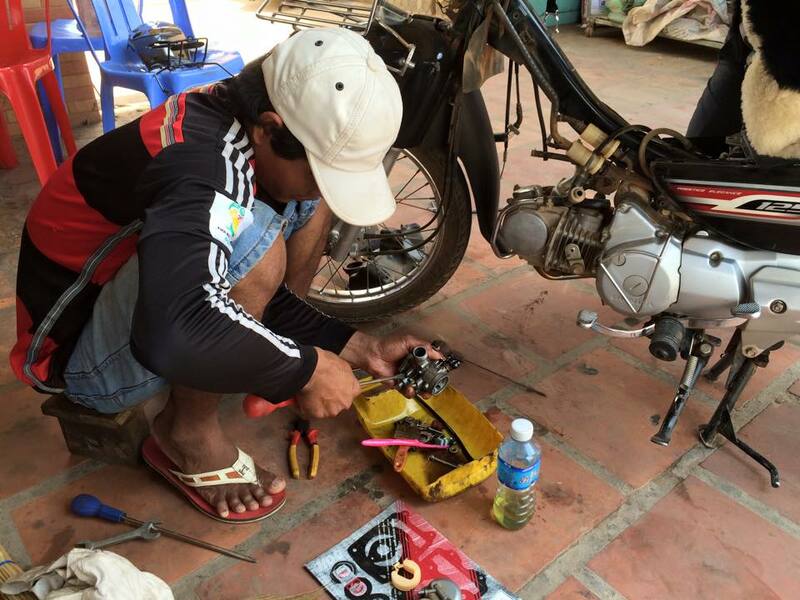 These are highly regarded in Cambodia as a reliable workhorse, easy to repair and with spare parts plentiful. 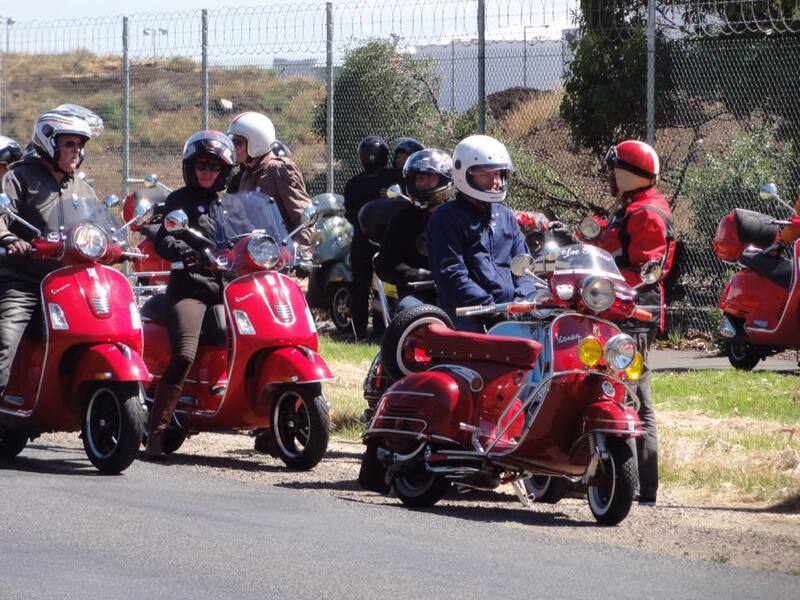 The KAD prefers these bikes, but the younger generation sees them as old fashioned compared to the newer autos! The KAD also supplied a “Permission to Ride” letter which may have been useful if stopped by police. 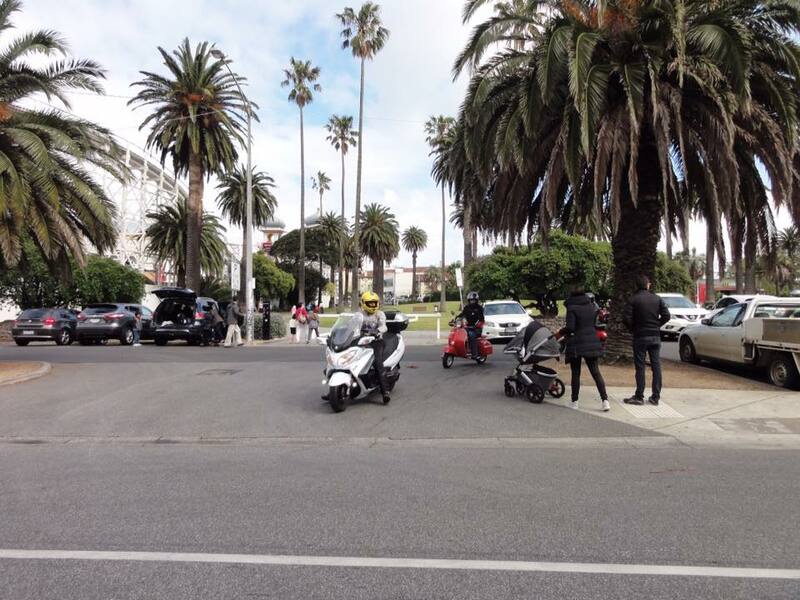 Thankfully, no police problems were encountered on the trip! 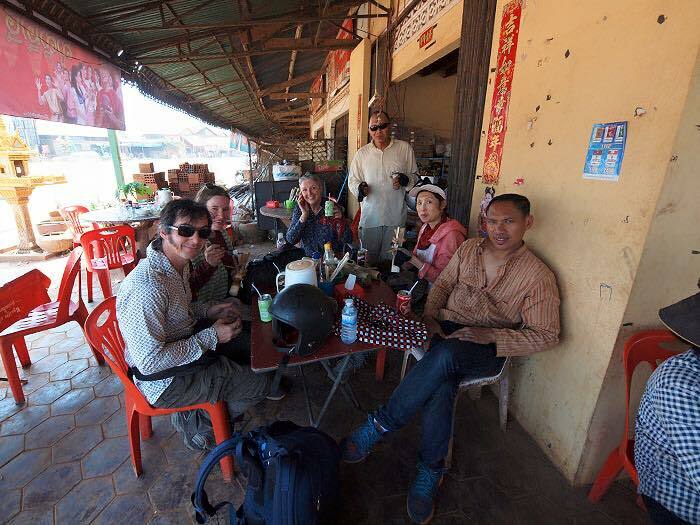 After an overnight stay in Kompong Speu, the riders departed the next morning. 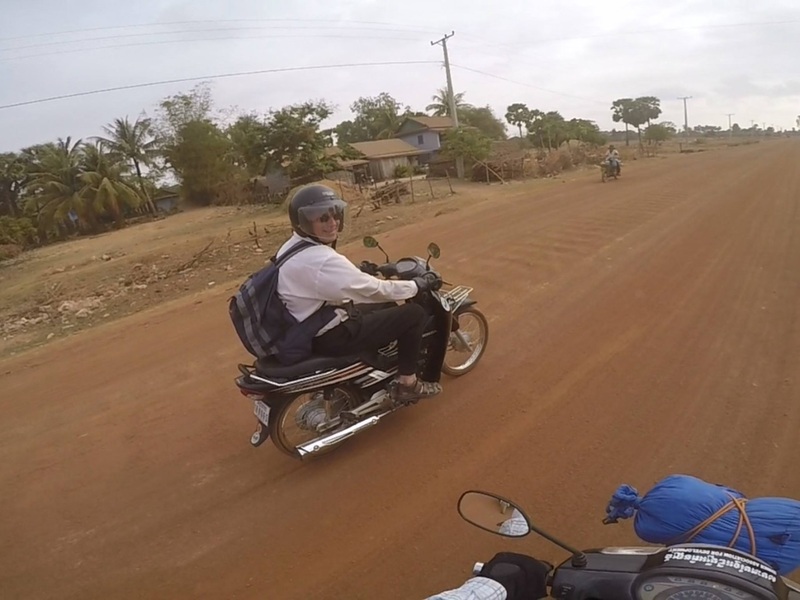 The adventure began with a 250km ride over about 7 hours including stops in Pursat. The next day’s ride was to a visit to a floating village for a look around. 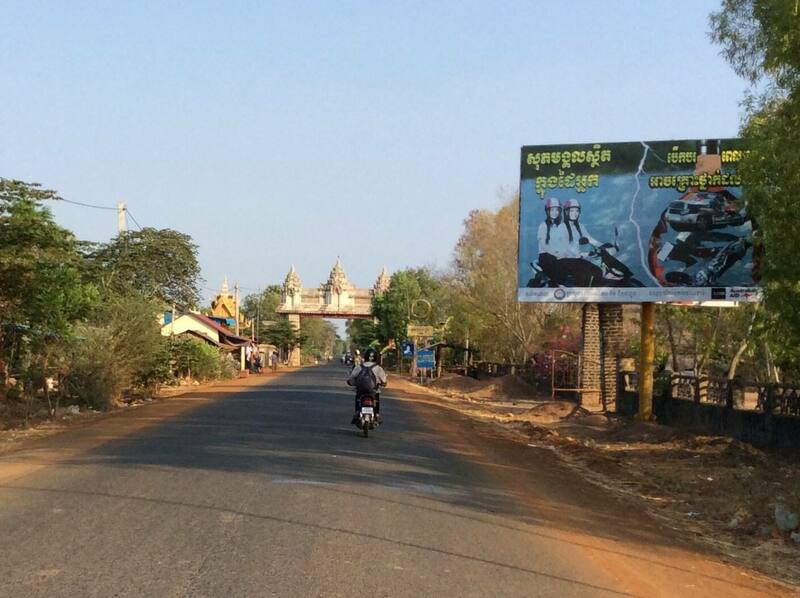 Highlights along the route were a stop where the riders took a small charter bus to visit the ruins of the 800-year old Banteay Chmar temple, and later, crossing the world’s longest bamboo bridge. 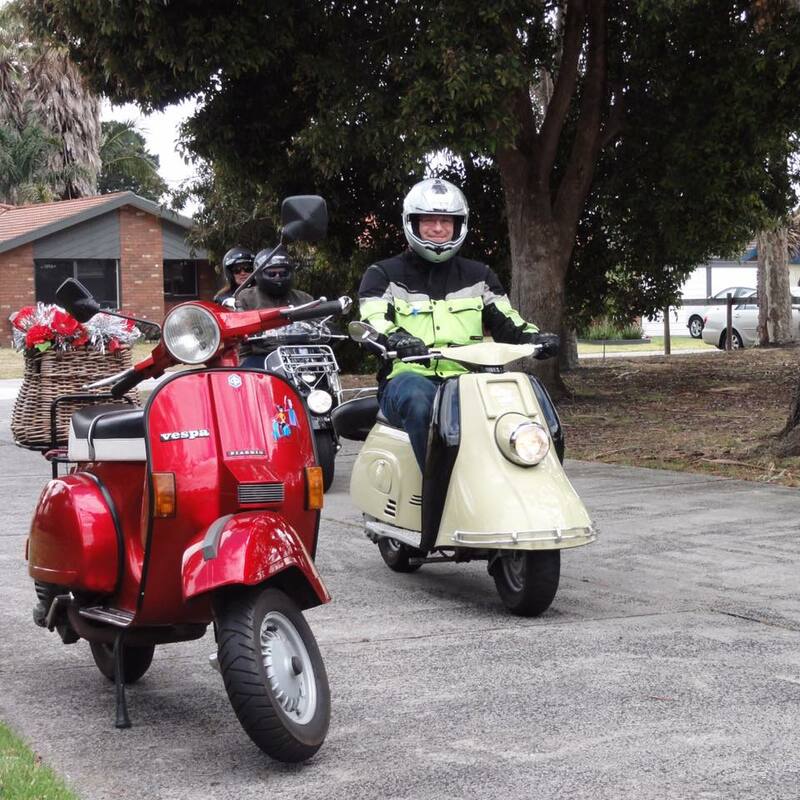 En-route, one of the scooters needed a check up by the local mechanic. A full carburettor and filter clean, new needle, and tappet adjustment cost $2.50USD Later that day, with another of the Dreams having a flat, a new tyre tube set cost $4.00USD including fitting. 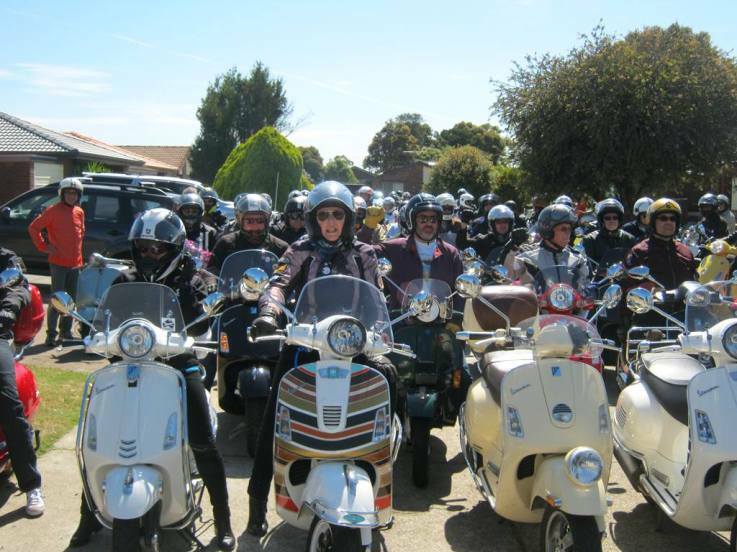 When they arrived at the final destination at the end of the ride, the bikes were washed and made ready to donate to the school. 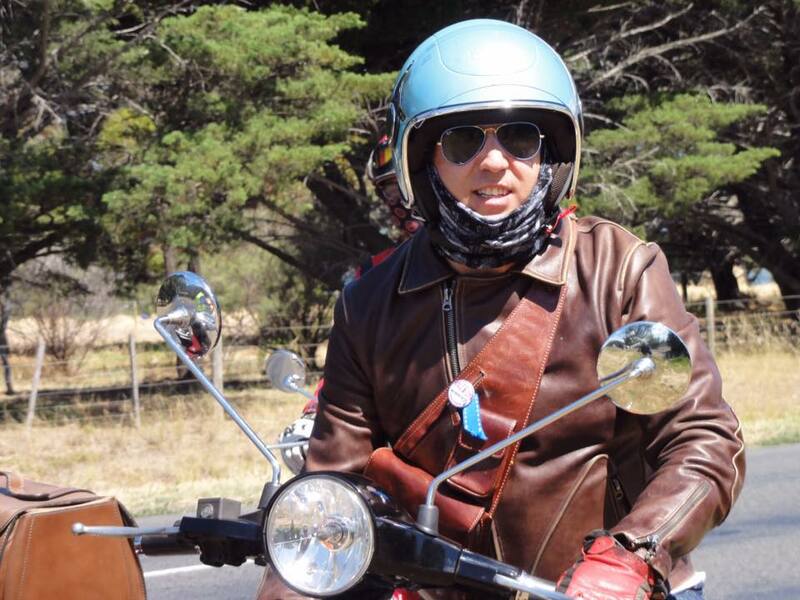 “It was a tough ride, and along the way we serviced and worked on the bikes to make sure they were in top condition. 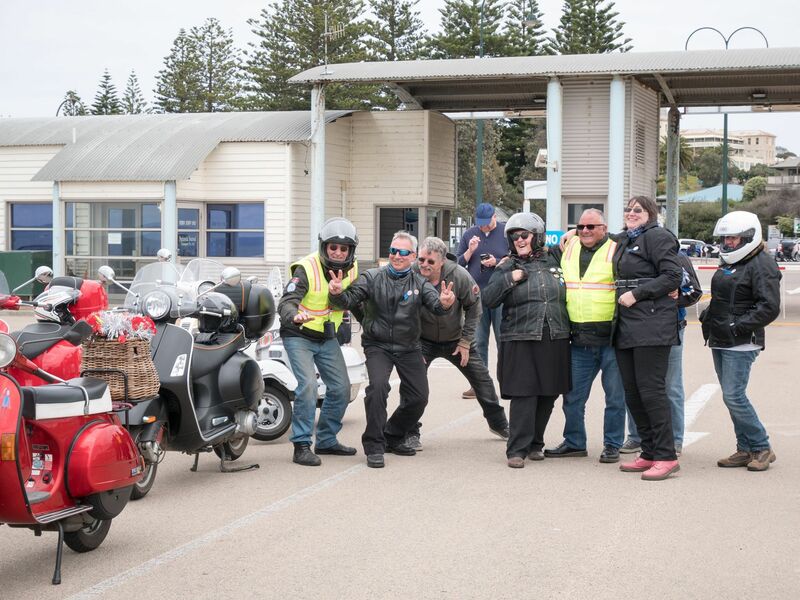 It’s great to now see photos of the bikes being used by KAD staff to visit local villages, and transport kids who need medical assistance”, Julie Pond said. The Centre has been developed from scratch by the KAD. KAD provides support to a network of villages and works in association with the local Commune. About 10 organizations, including the Club, support the Centre worldwide. Two hundred children aged from pre-school to mid-teens attend every day for additional education. There is a focus on improving health, and projects to improve agricultural techniques, so staff regularly visit the network of local villages. 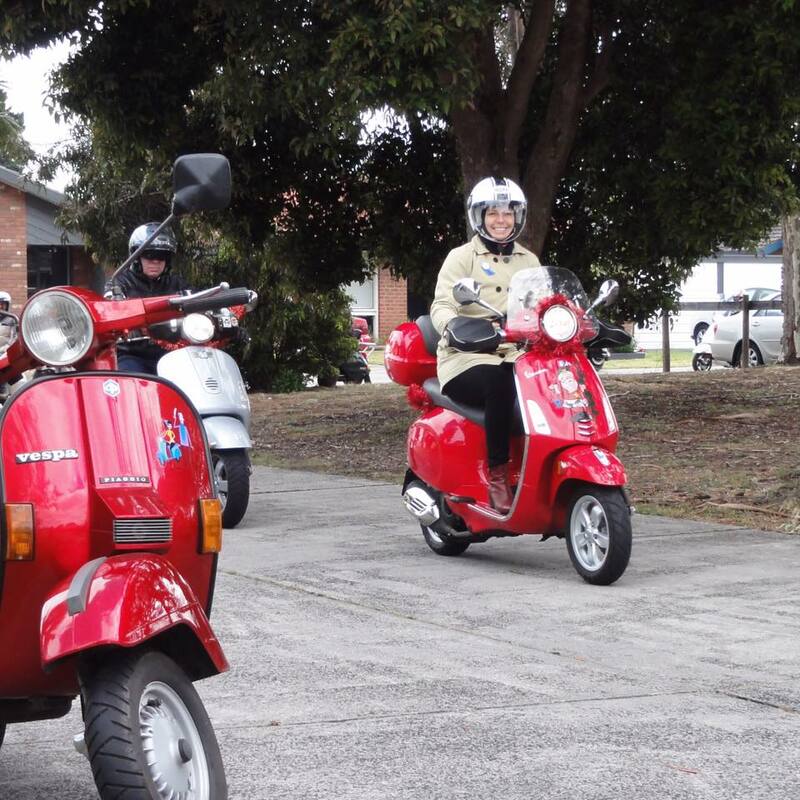 “Our first effort was $3600AUD and established the Motorcycle Vocational Education Building there”, Julie said. 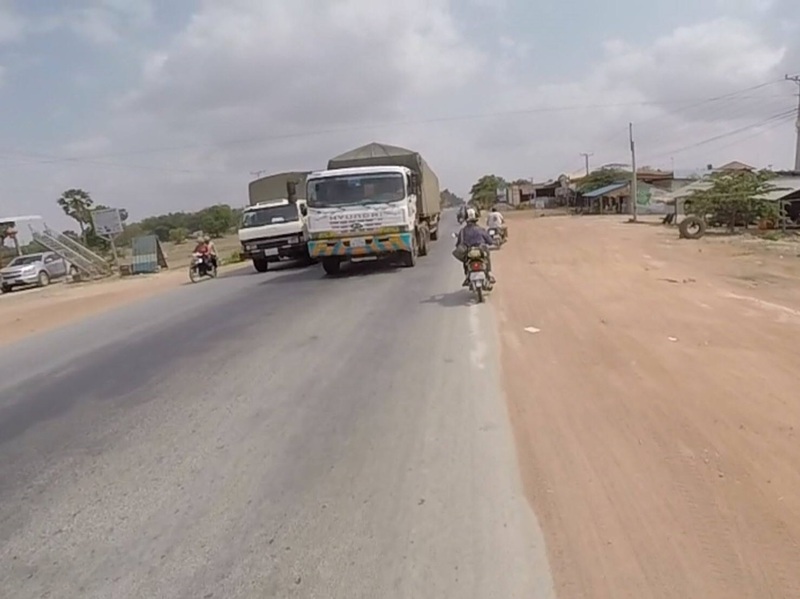 The program based out of the building teaches basic mechanical and maintenance skills to local youth and keeps motorcycles running and on the road for families. The Club’s work hasn’t been without problems. 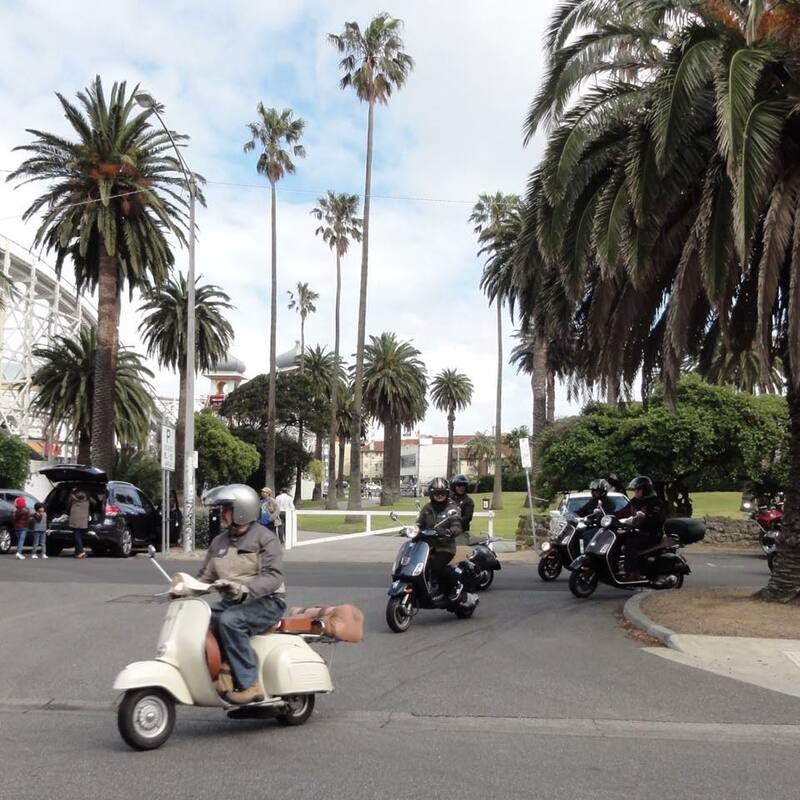 “We quickly became disillusioned with the international charity industry,” Julie said. “We were constantly ringing asking where our donated money was, and why it had yet to be delivered.” Julie visited the Centre in 2012 to see for herself where the money was being spent. After a frank discussion with the Director, Mr. Chandeth Meas, the Club decided to go it alone. 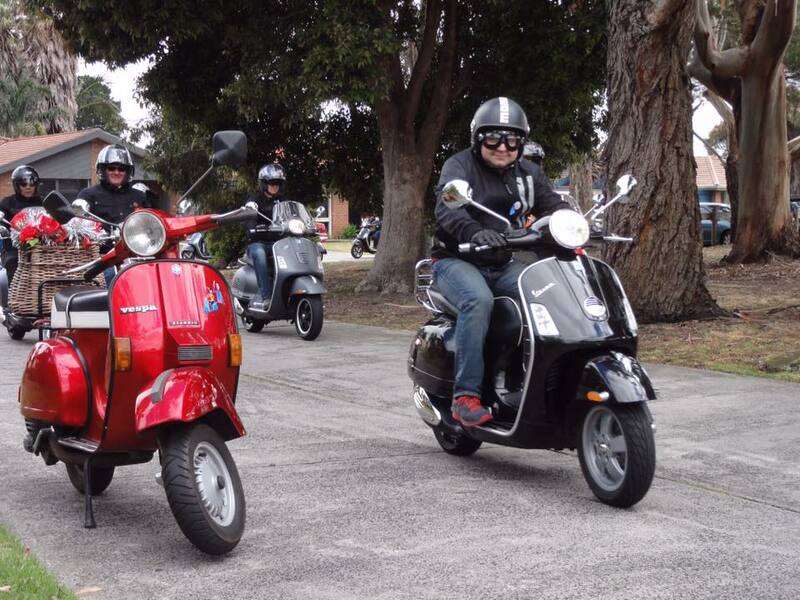 After the ride to deliver the scooters in 2015, Vespa Club of Melbourne members expressed that the experience was life changing and that they will continue to support this community in the future. 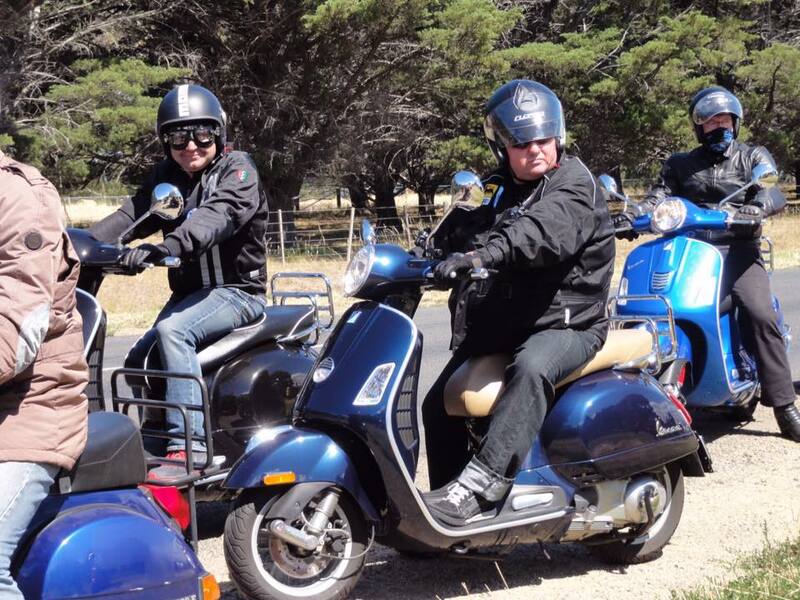 Follow-up: In March, 2016 The VCoM Club President visited the Centre again to deliver a further $3500AUD on behalf of the Club. It was immediately put to use for improved water storage and dam reconstruction. Cambodia is in severe drought, and water supply to the Centre was at risk. “I arrived at the Centre, handed them the funds, and saw it being immediately spent and put to work. 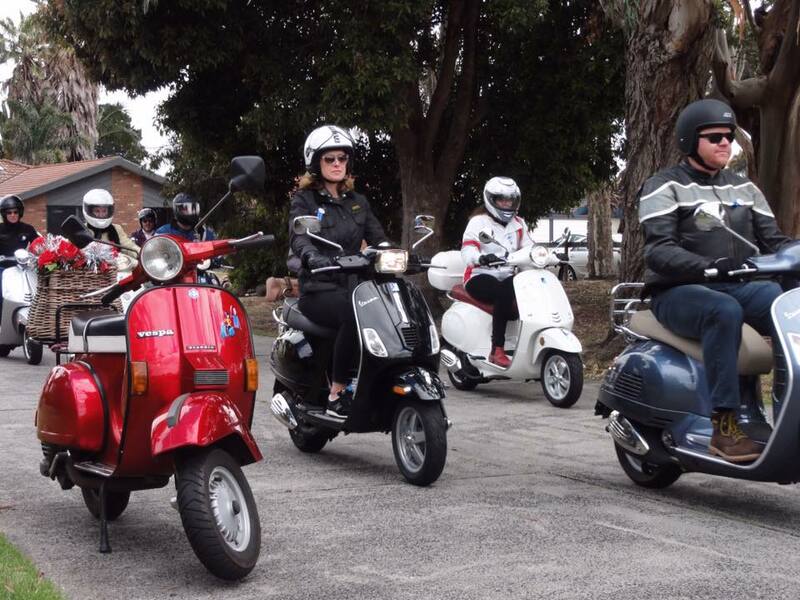 I felt very proud be part of the Vespa Club of Melbourne” Julie said. 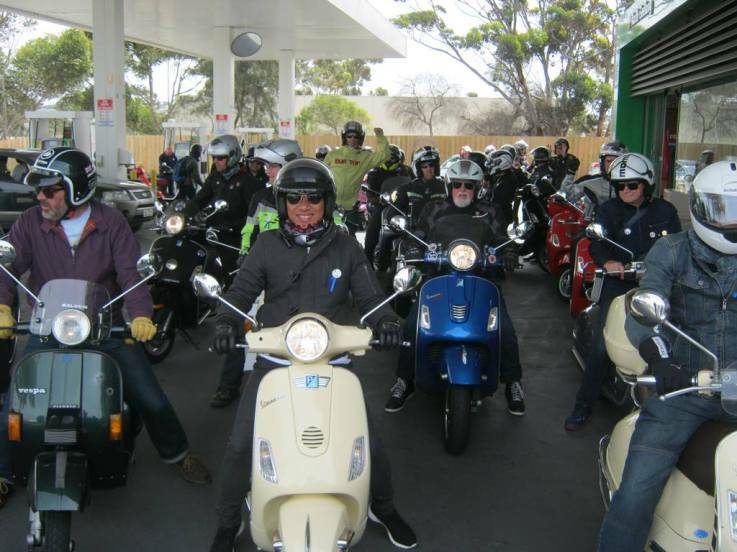 The Vespa Club of Melbourne continued their support and this month again fired up the Vespas for the Round the Bay ride. 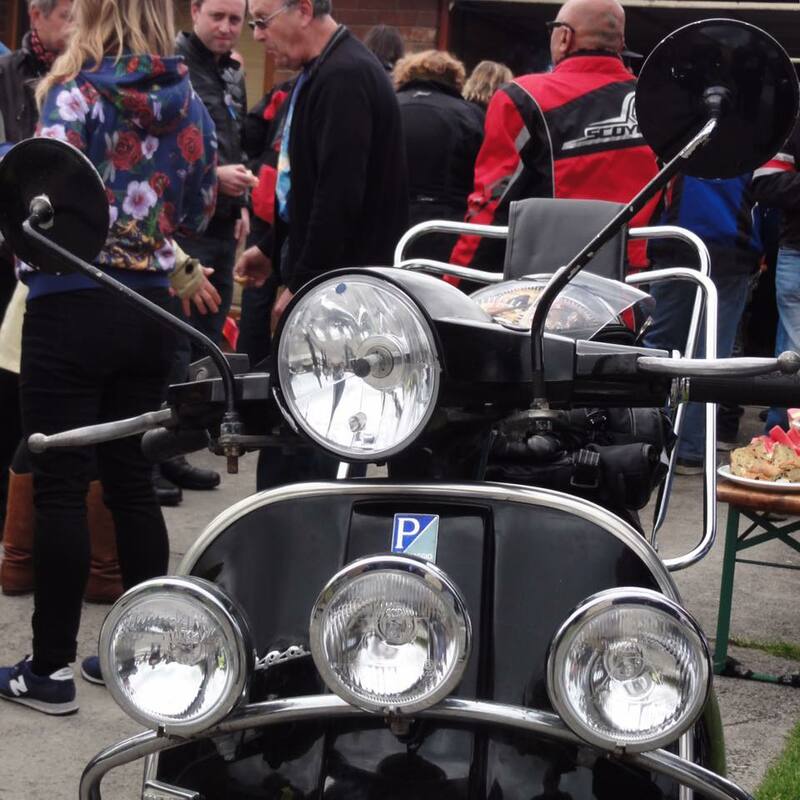 The Annual Round the Bay Phil Agar Memorial Ride took place on Sunday the 11th of December 2016. 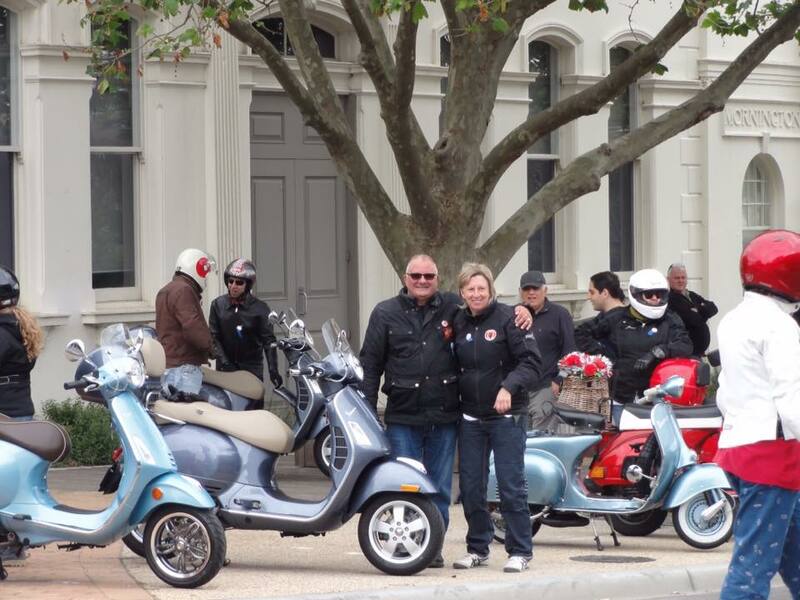 The Round The Bay rider’s badge comes with a blue ribbon to remember Phil and his signature blue Vespa. 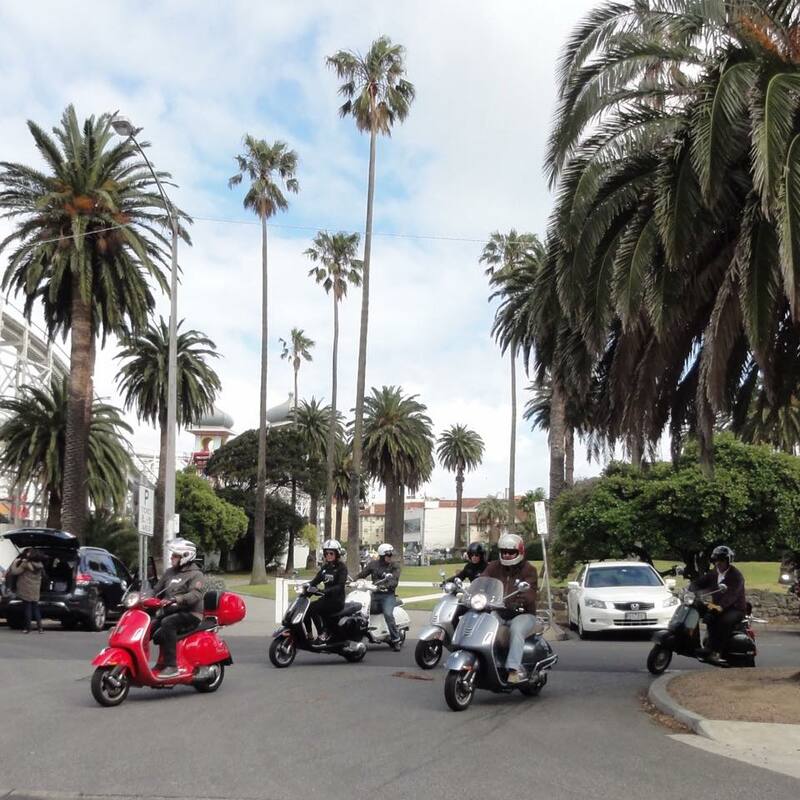 This year the Vespa Club of Melbourne extended their invite to scooter riders of all brands. 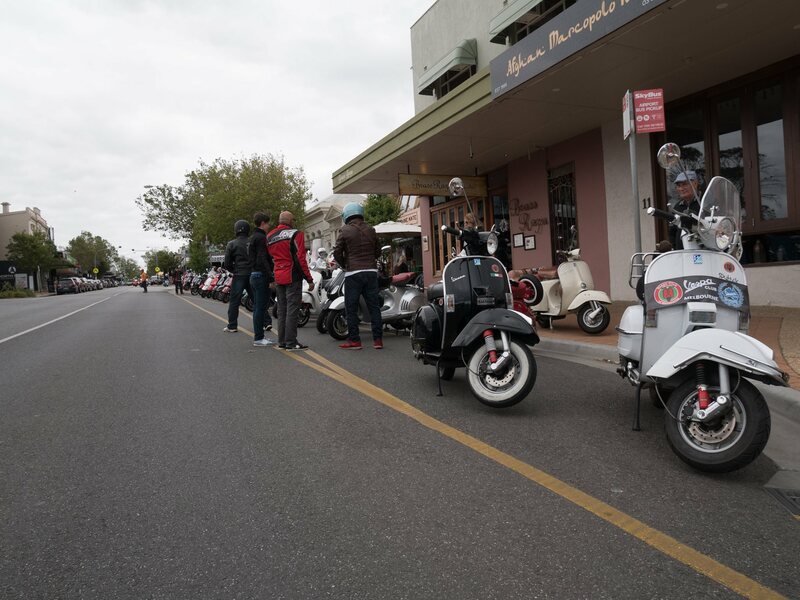 The event was once again a great opportunity to meet like minded people and go exploring on scooters. 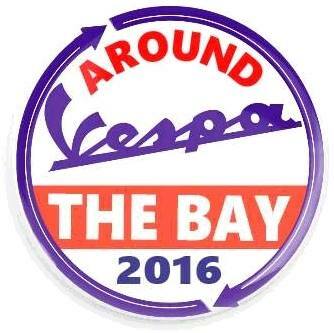 A target of 100 riders was set for the 2016 Around the Bay/Phil Agar Memorial and accordingly, 100 event buttons were printed. 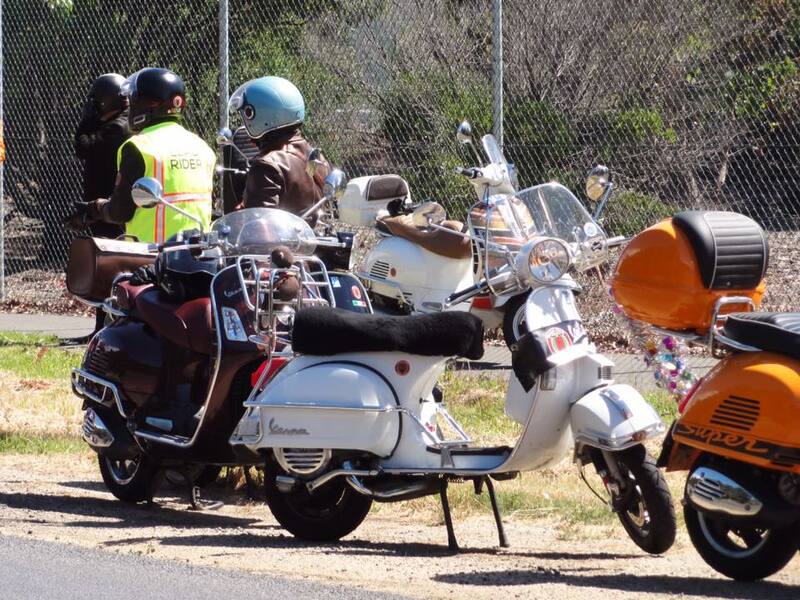 And it was close – 90 riders (plus a number of pillions) participated over the day, which was a great turn out. 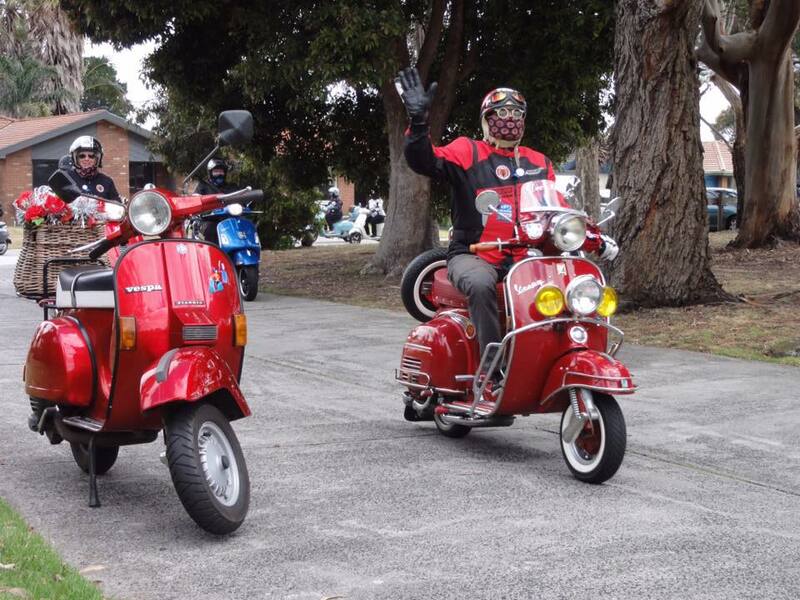 Stefan and Ira once again supplied a plentiful morning tea that they donate at their own expense, at the Chelsea stop. 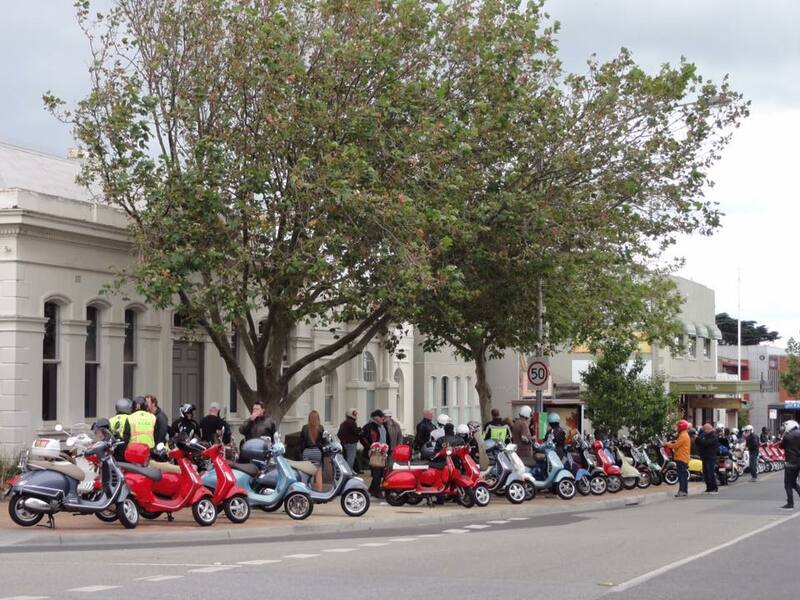 It was also the biggest point of the ride – 74 scooters at Chelsea. 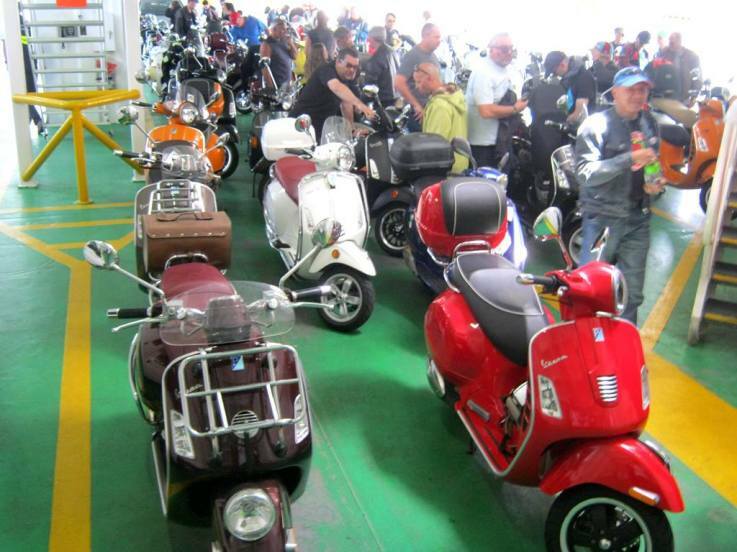 Fifty-six Scooters took the ferry across the bay, with the event raising $1000AUD for VCoM’s favourite charity. Every cent donated will be delivered in cash to this ongoing project – VCoM do not work through the charity industry. This the real deal. 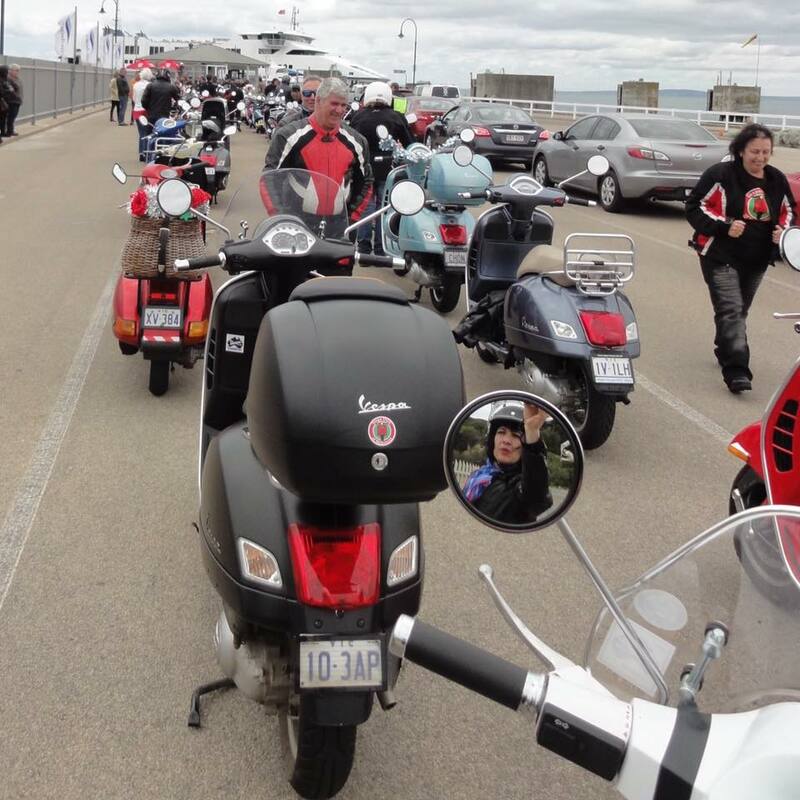 Lisa Laidlaw kindly provided the following gallery of pictures taken on the day.